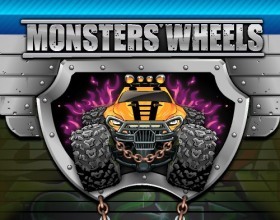 Are you ready for stunning tricks with your gigantic vehicle? Then set your car to the top gear and drive across different terrains and perform stunts in this race. Earn money and buy upgrades. Use arrow keys to control the car. 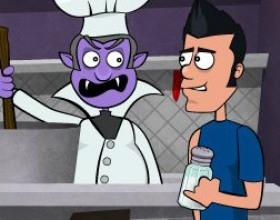 Your aim is to become a vampire and make your vampire parents proud of you. First of all you start as a regular human. As the game progresses you'll find everything you need to reach your goal. Return to Vampireville only when you're ready to become on of them. Hungry piranha is back and this time we are on some lost island where some cannibals and Indians live. 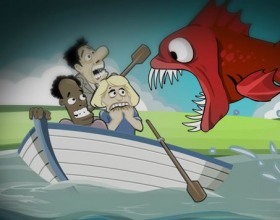 Help the little fish to dive deep in the water and look for human flesh. Use your mouse to control the game. 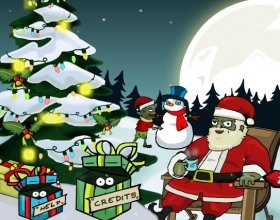 Evil zombies are trying to steal the gifts near the Christmas tree which were intended for the good children. Are you going to stop them? Sure thing! Take the weapon and aim for the head. Use your mouse to aim and fire. Turn the prehistoric world into total chaos. 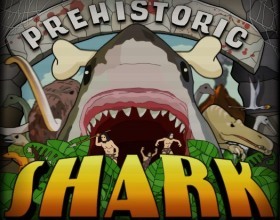 Control your hungry shark and eat other animals, sink boats and many more. Use your arrow keys to control the shark. Press A to attack. You play as an angry bull. 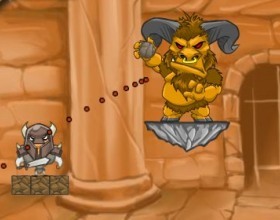 Your task is to eliminate all enemies who are trying to invade your dungeon. 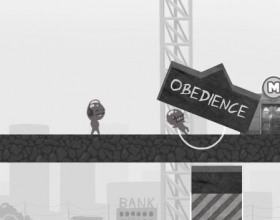 To pass the level you have to throw different types of rocks at them. Aim and throw with your mouse. 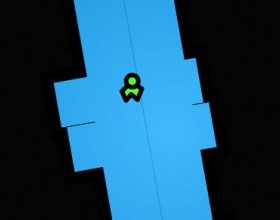 Roll around the screen to reach the exit point to complete the level. On your way you can eat different mushrooms that will give you some special ability. Use arrows to move, press Space to eat mushroom. Destroy humans - that's all you have to do in this puzzle game. Cut some ropes, remove blocks in order to cause some other action and chop humans. Use your mouse to play this game. Are you a doctor? In this game - Yes, You are! 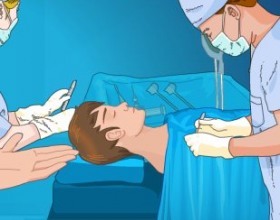 Rush into the operating room and operate a young patient's ear. Place an electronic device and bring back his hearing ability. Use your mouse. 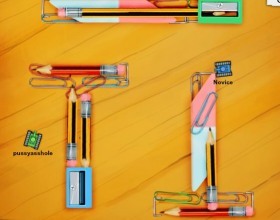 Solve all puzzles as fast as possible. Your task is to find play button and click on it. 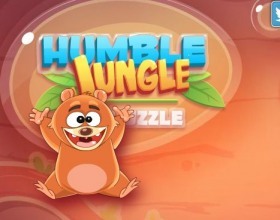 Move certain objects, enter passwords and do many more in this game. Pokemons are back. This game is not usual tower defense game. 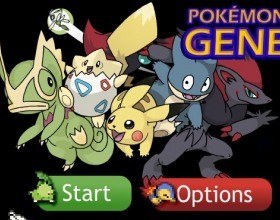 Place your pokemons to fight against enemies. Use your mouse to control the game. When walking around use Arrows and Space. 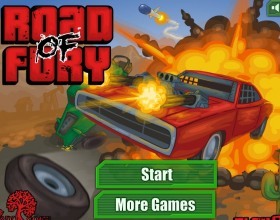 Take your vehicle and kill never ending waves of enemies that are trying to stop you. You can equip your car with various weapons. After each ride you'll earn money. Spend it on upgrades. Use Mouse to aim and fire. Papa is back. This time you'll have to prepare everything for pasta. Take your orders and then go to the cooking station, where you'll have to boil pasta, then serve it with delicious sauce and many more. Happy clients will leave good tips. 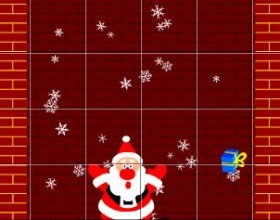 This is interesting Christmas puzzle game. Your task is to restore moving (animated) picture as it was before. Place all squares to right positions. Correctly combined squares connects automatically. Use your mouse. 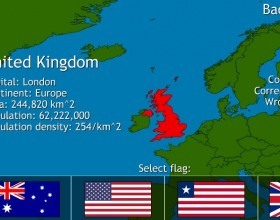 This game will totally check your knowledge about world's countries, their names, capitals and flags. 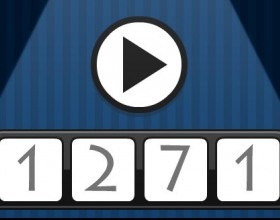 Test your self in this great game. This is a good testing quiz when you're preparing your self for equal test in geography. What else can you do in such games? Of course, your task is to score more goals than your opponent. This is unusual hockey, because you can use your head to hit the puck. Use arrows to control your player. 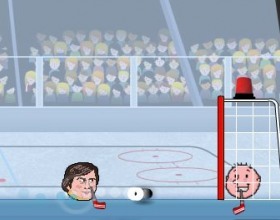 Press Space to swing and hit the puck. 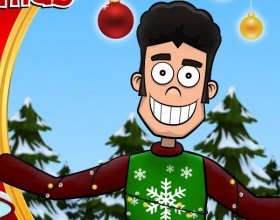 It's Christmas time and Jerry has some special wish - he wants to get a kiss from a lovely girl next door named Jasmine. Do everything to reach that goal. Collect various items and use them to get closer to Jasmine. Use Mouse. Another version of famous Earn to Die game. This time as usually you'll be able to use various new cool upgrades to smash those silly zombies even harder. 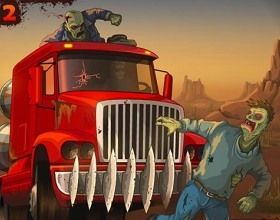 Upgrade your vehicle and earn money to cause death of zombies. Use arrows to control your car. Ohh, honestly, I'm getting tired of these monkeys. But what can we do if still they need Your help. 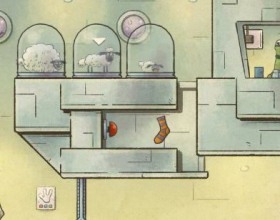 Use elevators to help them to find some lost toys for their kids. Use your mouse to point and click on objects. This game is totally fast and stunning. 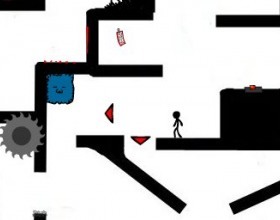 Your task is to avoid being crushed by the moving walls. All you have to do is guide your little friend with your mouse to the point where you'll be safe. How long can you survive? 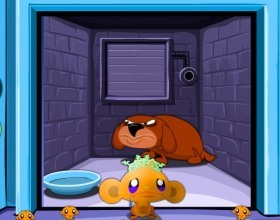 In this lovely game you have to feed cute little creatures that are standing at the sides of the game field. Your task is to connect all round shapes and then guide one last to their mouths. Some of them can move along the board, some of them can not. Your task is to hit gray shapes with colored ones to finish the level. 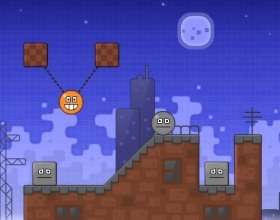 Click on removable blocks and let the gravity and physics to the rest. Swing your buddies in ropes and then cut them. Use your mouse. This is a follow-up for some older game, I think it was named Tortur-o-matic or something like that. Your task is to guide stupid stick guy through amazing torture path to earn maximal pain points. Use arrow keys to select path. We already have many games similar to this, but here you can build different buildings and then use various resources as you want. This gives you more chances to win the game. 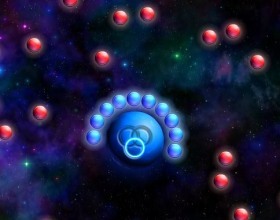 Use your mouse to control the game and send your troops from one point to another. Cut the ropes and ice blocks to hit the penguins and finish the level. 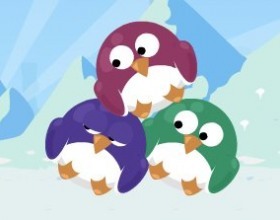 You touch one penguin with the block only once. That's why you have to use your mouse precisely to leave a peace for everyone. Your mission is simple - survive and become last working tank in arena. You can play this game as a single player or you can choose to play against other players world wide in multiplayer mode. Use arrows or W A S D to move. Press Space to shoot. 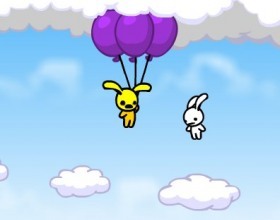 In this strange but funny free online game you have to guide little acid bunny through different levels. 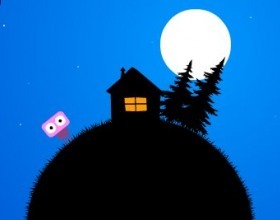 Jump over clouds, collect various items and many more. 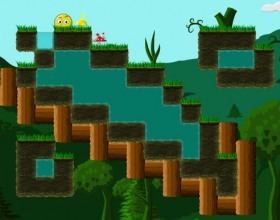 Use arrow keys to move and jump. Press Jump button twice for a double jump.